DS Carriers Ltd specialise in planning home removals and our aim is to make things simple for you – from the start of the process until the very end. DS Carriers Ltd offer a full packing service to ease the pressure and make your move as stress free as possible. We have both the knowledge and skills required to help businesses who may be relocating to new premises or are looking to move equipment internally. Whether you need items storing for a month or a weekend, we can help; we can store your goods for as long as you need. Whether you’re looking to move home or relocate your business, you’ve come to the right place. Here at DS Carriers Ltd, we’ve been providing an efficient and cost-effective moving service for over 35 years. We have experience of local and national moves and are proud to have established partnerships with many well-known companies, including Harvey’s Furniture and Bensons for Beds. The staff at DS Carriers are passionate about what we do – removals have been part of our family for generations. For the past 35 years, it has been our aim to deliver excellent customer service and have complete customer satisfaction. As a small, local business we rely on ‘word of mouth’; having clients recommend us based on our excellent service has helped our business to become one of the most established and recognised removal companies in Renfrewshire. 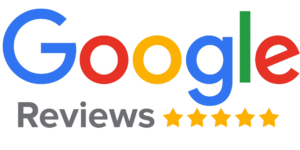 We take pride in having a large amount of 5 star yell.com and Google reviews from many of our happy customers and encourage anyone thinking of moving to read them to see just how easy we can make your move. We understand that moving home or business premises can be an incredibly anxious time. You need a company that you can trust and with DS Carriers Ltd, you’ve found it. No matter the size of your move or whatever your requirements may be, we can help. So why not contact us today to find out how we can get you moving? We’ve no doubt you’ll become another satisfied customer.